The World Intellectual Property Organization’s human resources issues have been far from harmonious over the past decade, but this year’s secretariat report paints a picture in glowing language of a new culture with happy, well-trained staff after years of “change management.” And to member governments concerned about remaining challenges? No problem, just leave that to us, WIPO says. The WIPO report on human resources, WO/PBC/25/INF/1, is on the agenda at the 29 August to 2 September meeting of the Program and Budget Committee (PBC). 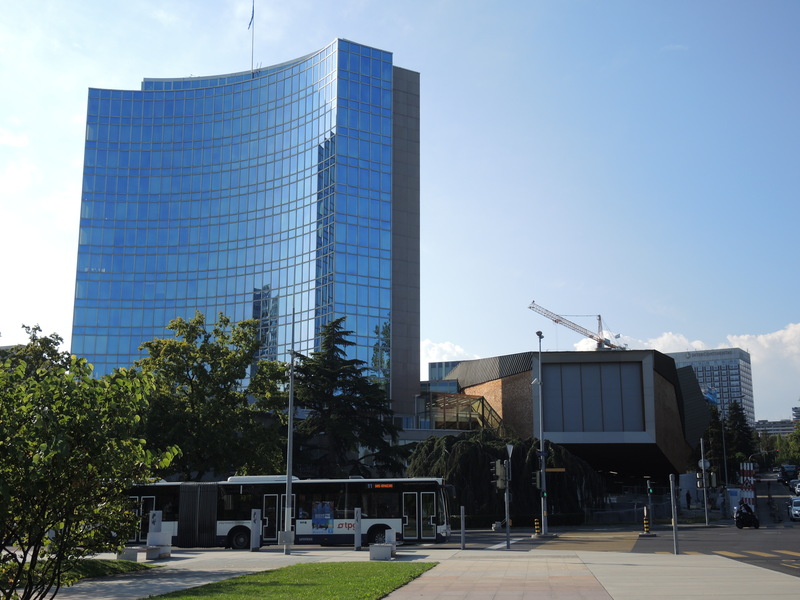 WIPO has about 1,400 staff, of which more than 1,000 are regular staff, according to the report, which hails workforce productivity as up, and staff costs as a percent of the budget as decreasing. An interesting statistic is the percent of staff costs by sector. Four areas account for nearly 80 percent of the overall budget. The patents and technology sector consumes 36 percent, administration and management eats nearly 20 percent, and the brands and design sector takes 12.5 percent. And the director general’s office takes a separate 11 percent of the overall budget. Among the remainder, the development sector is credited with 6.3 percent of the budget, global infrastructure gets 5.5 percent, “culture and creative industries” 5 percent, global issues almost 3 percent, external offices (which get a disproportionate amount of member state attention) 1.1 percent. “Challenges remain and will be tackled,” the report assures. It is not clear whether the Staff Council, which has offered criticism in the past, will be providing a report this week or at the upcoming General Assemblies. As to the everpresent challenge of geographical representation among the staff of the UN agency, WIPO says all responsibility for that “falls squarely” on member states, not the secretariat, but that it is more geographically diverse than ever (with 119 of its members represented, 69 members unrepresented). It is noted that in recent years, the number of professional staff coming from western Europe has dipped below 50 percent, and is steadily if incrementally declining. The breakout of the 532 regular staff at professional level and above is: Western Europe 49.6%, Asia and Pacific 14.5%, Africa 10.9%, North America 8.6%, Latin America and Caribbean 7.9%, Eastern and Central Europe and Central Asia 7.1%, and the Middle East at just 1.3%. France accounts for far and away the most staff for a single country. Gender balance also is continuing to rise, the report says. The report’s own summary captures its view of the successes that have occurred in the organisation. “This annual report is replete with achievements and progress on various fronts – organizational culture, diversity and inclusion, talent acquisition, management and development, compensation and benefits, occupational health and safety, among others,” it crows. "WIPO Human Resources: All Is Harmony, Secretariat Says" by Intellectual Property Watch is licensed under a Creative Commons Attribution-NonCommercial-ShareAlike 4.0 International License.